Can Iron Save the World? The concept is simple. The oceans are filled with algae. Algae consume carbon dioxide. So the idea is that a bloom of algae could "absorb or breathe in" the dangerous levels of carbon dioxide that corporations are emitting. Algae however, are part of a intrinsic food web that rises through all trophic levels including whales, fish and humans. Algae can also be toxic. The concept of iron ocean fertilizing is not new. 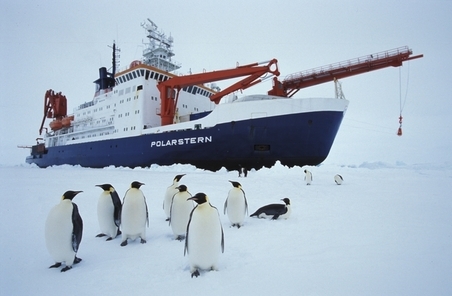 In January 30th, 2008 The Polarstern Experiment took to the South Atlantic Seas in order to better understand the role of iron in the global climate system. When the Polarstern was conducting its experiment, controversy rose throughout the world and in South America, specially in Buenos Aires. The media and the general public where concerned about throwing tons of iron to the oceans without knowing the consequences. 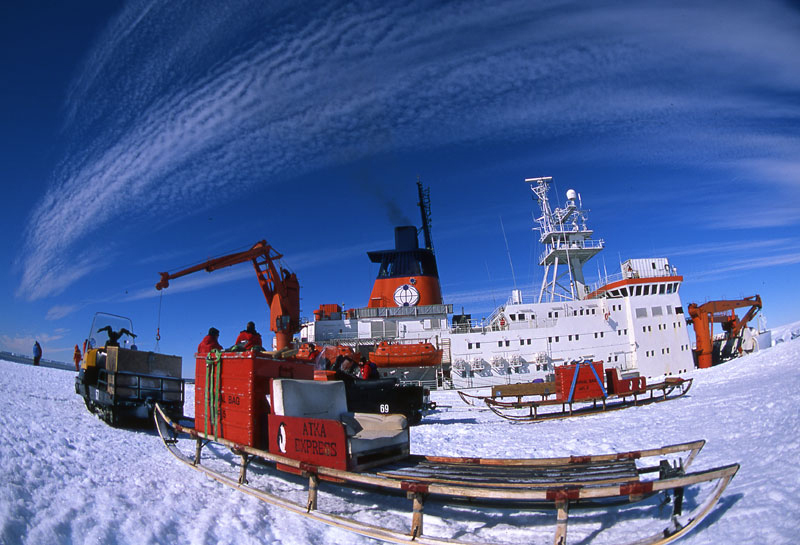 In 2008 I spoke with the press office spokesman of the Polarstern Experiment Alfred Wegener Institute for Polar and Marine Research in the Helmholtz Association. Polarstern also sent some images on Iron dumping, algae and ocean experiments, which I made availble back then. One may think that �new scientists� would consider the Polarstern Experiments. If I wrote them an email and got back a lot of information, I am sure Polarstern would be glad to share their information with other teams. I do not see no reason why �new developments� into Iron Fertilization would not consider writing or reading scientific results that have been proved. If we do go on this wild dumping-tons of iron-for ocean fertilization plans, and if we do continue to emit carbon dioxide at the speed we are, perhaps we will need to contact China, they will spend 30 billion yuan (4.5 billion dollars) searching for domestic mineral deposits over the next five years. China discovered, 900 separate locations with mineral deposits over the past 12 years, five of these could hold five billion tonnes of iron ore. Perhaps if we dump all that in the sea the experiment will work, afer all Polarstern only dropped 20 tons of it in the South Atlantic. But then again...with all the "he-said, she-said" taken as news around the world, this time we should just ask the penguins about it. Leak that.